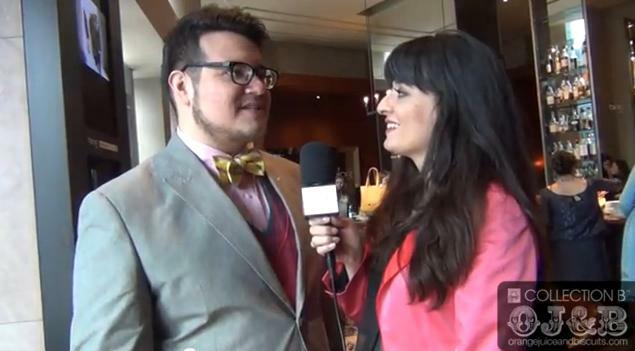 During Mercedes-Benz Fashion Week I hosted a Tweetheart Tweet Up at the Mandarin Oriental's Mo Bar Bing Lounge. While I was there I got to do some great interviews with the Ultra V Network as well as be interviewed by some awesome people like Sharon Pandolfo from Collection B! Check out this fun video interview where I talk to Collection B about the history of OJ&B, hot trends for Fall 2012, how to work the trends into your wardrobe and so much more! Be sure to check out the official Collection B website for amazing Spring 2012 jackets by clicking here.